Wednesday Review tonight is right in time for the 50th anniversary of the Beatles in India. The book I am reviewing is With the Beatles by Lewis Lapham. The author was hired to write about transcendental meditation and the Beatles involvement with the Maharishi for the Saturday Evening Post. 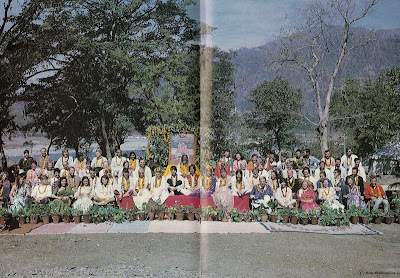 First, he went to New York and then to California to study and understand TM and have the background information needed to travel to Rishikesh and meet the Maharishi. This is an extremely small and short book. Since it just focuses on the experiences of the author during two months of his life, there isn't a lot of unneeded background information. However, about half of the book is dedicated to explaining what the author learned about TM and then explaining what it was like at the Ashram. 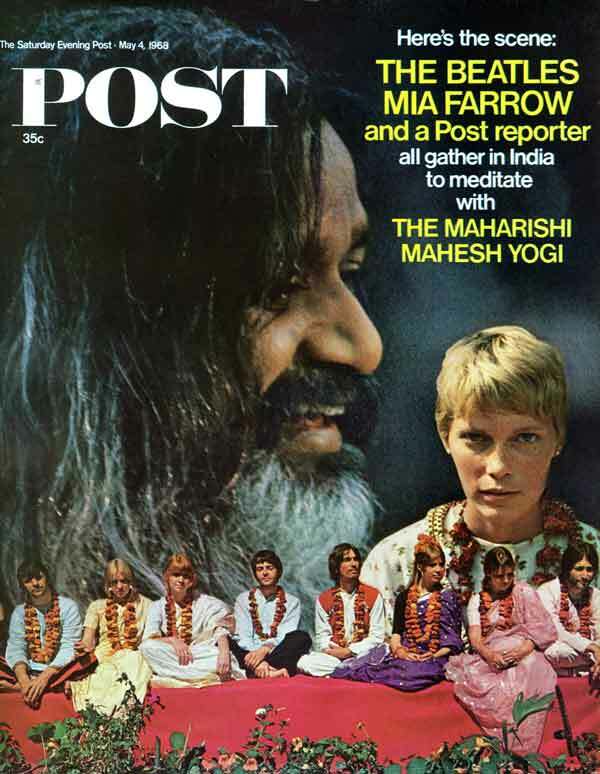 Lapham was one of the few journalists allowed inside the camp and he got to talk to Maharishi. He really made the guru look like a money-hungry, fame-hungry man that took advantage of the Beatles and other celebrities involved in what he had to offer. The Beatles were put on a pedestal and he gushed over everything they had to say or do. He offered them private meditation sessions and didn't allow the press to talk to them. However, Lapham did converse some with the Beatles because the guys would occasionally go out into the commons area. He didn't have any deep talks with them or hear any music being made, but he did get to chat with them a little about things. His observations were really good -- especially about how Cynthia looked really sad the entire time. He was even present during George's birthday party and explained some of the confusion in the photos from that day. Lapham left with Ringo and Maureen after 10 days and traveled the 8-hour drive into the city with Ringo and has some good memories of that trip. This was far from being the best Beatles book out there, but it was a quick read and was especially interesting to read right now - 50 years after the fact. I think it is a must-have for anyone that wants to learn more about the Maharishi and the Beatles time in India.